Saturday 28 and Sunday 29 June from 11am to 5pm. 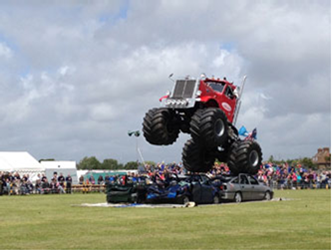 With a combined weight of twelve tonnes, ‘Big Pete’ and ‘Grim Reaper’ will thrill the crowd with jumps, stunts and an exciting display of monster truck fun. Alongside ‘Big Pete’ and the ‘Grim Reaper’, the breathtaking ‘Bolddog Lings’ motorcycle stunt team (as seen on Britain’s Got Talent) will be performing their amazing range of death-defying stunts alongside a range of rescue and pumping displays from local fire fighters. 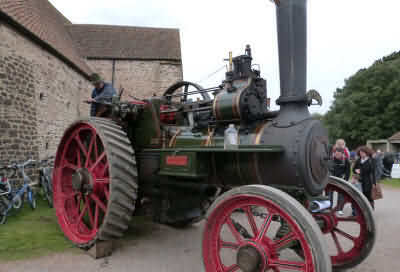 The show includes an exciting range of activities and fun for all the family, including one of the North’s major rallies of classic and restored cars where exhibits include fire-fighting vehicles from the earliest times to the most modern of appliances and motoring from the 30s to the present day. Additional attractions include craft and food stalls, side shows, a fun fair, trade stands and auto-jumble stalls. 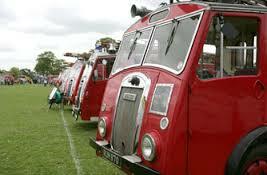 The Show is supported by Stockton Borough Council and volunteers from Teesside Airport Fire Engine Rally (TAFER). This enables a donation to be made to The Fire Fighters Charity who provide services to enhance the quality of life for serving, and retired, fire service personnel and their families. Entry to the show is £5 (adults) and £2.50 (children and concessions) at the gate.